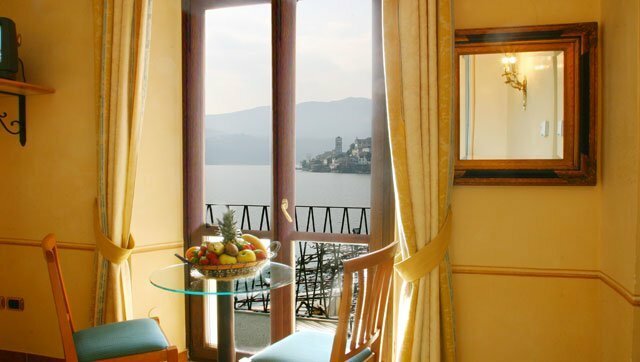 The room Superior number 103 offers direct access to the first floor terrace with view on the lake shores and its characteristic wooden boats facing the Island. Furthermore there is a large and modern hydromassage shower with cromotherapy. 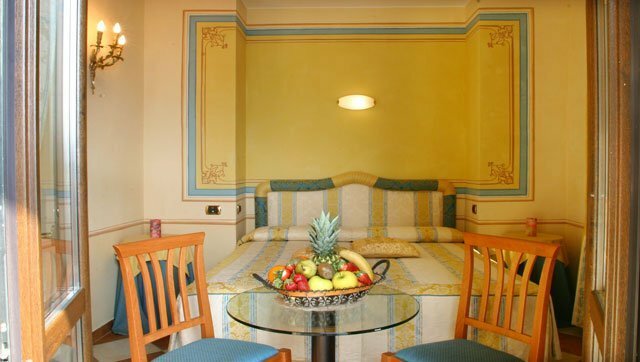 The room Superior number 108 shows pastel colours, original stone walls and the original wooden beams. 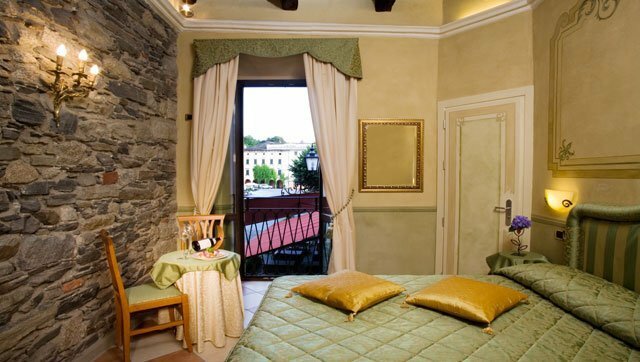 There is a private balcony facing the ancient previous town hall Palazzotto and the main square namely the famous “piazza salotto”. Leaning out a little one can catch a look at the island and its idyllic lake. To reinvigorate one self’s guests will find a modern Jacuzzi in the bathroom. 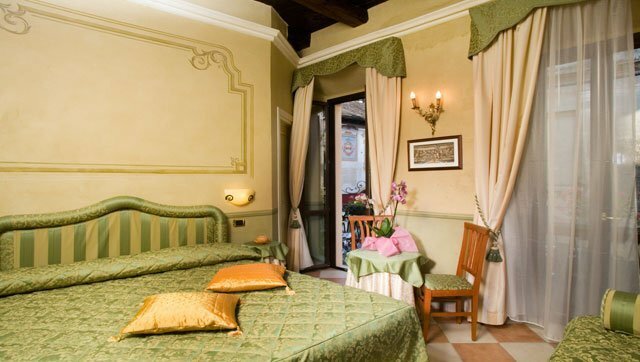 In the room Superior 109 once again there are pastel colours, stone walls and the original wooden beams. The large window faces the ancient previous town hall Palazzotto and the suggestive Piazza Motta. Leaning out a little one can catch a look at the island and its idyllic lake. For a relaxing bath there is a modern Jacuzzi in the bathroom. At sunrise and at sunset as if in a game of mirrors the boundaries between sky and earth melt together giving space to one’s imagination. 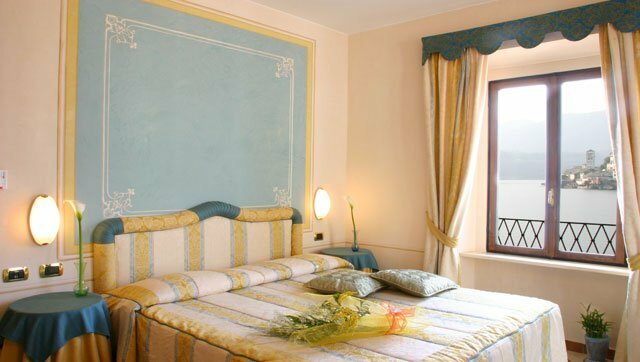 The room Superior number 201 faces the island of Saint Giulio and gives memories of old times. 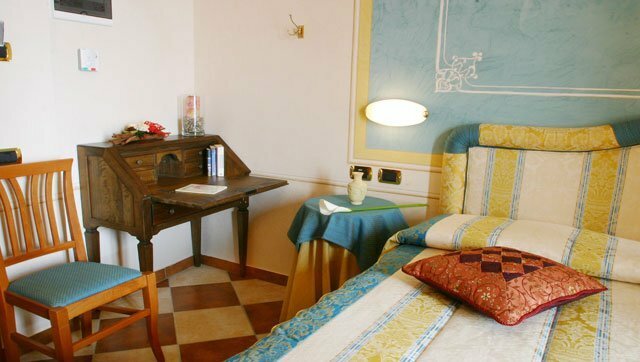 The room Superior number 203 has a private balcony offering a view on the local landing stage with the characteristic wooden rowing boats, locally handmade decades ago by craftsmen. Just getting out on the balcony one is offered a breathtaking view pointing right to the island. The room is very bright and in the bathroom there is a hydromassage shower to fully relax after a long day spent exploring. 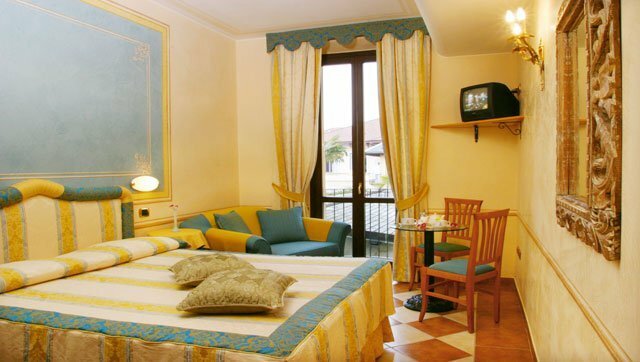 The room Superior number 205 is dominated by warm and amber colours. From here there is fantastic view. Getting back to reality is softened by waking up at the sounds of the bells of the Monastery on the island. In the bathroom there is a comfortable bath tub with hydromassage shower. 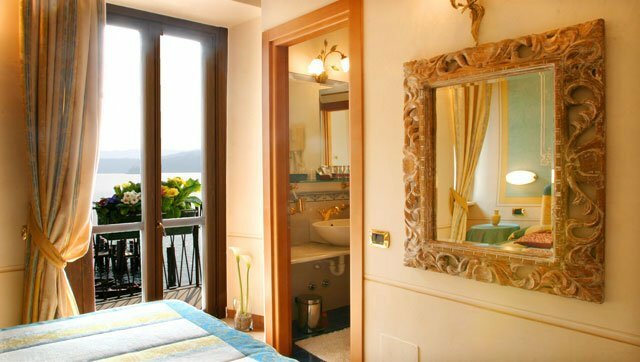 From the private balcony one can enjoy the calm and happy view of the island and the lake. From the room Superior number 212 there is a stunning scenery just as if in a watercolour where the colours of the sky melts with those of the lake passing through the green colours of the mountains. It is also very spacious and with a reading corner. The room’s decorations continue in the bathroom too.